On the Home Dashboard, you can review your incomplete tasks in the My Tasks widget. On the Home Dashboard, Admin users can view incomplete tasks regardless of who it’s assigned to. 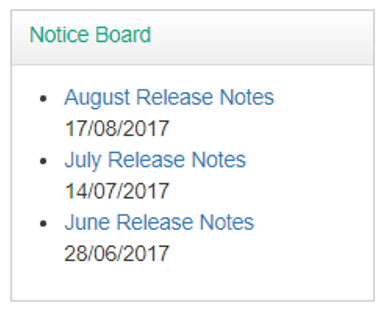 On the Home Dashboard, Admin users can view a count of enrolments commenced each month this year compared with last year. On the Home Dashboard, Admin users can view proportion of this year’s enrolments in each status. 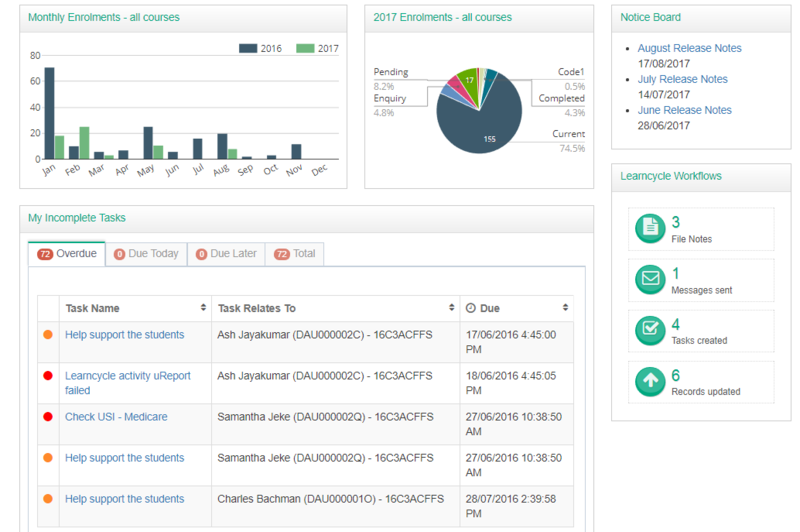 On the Home Dashboard, Admin users can view how many learncycle activities have been carried out. On the Home Dashboard, users can view latest news, release notes and alerts.